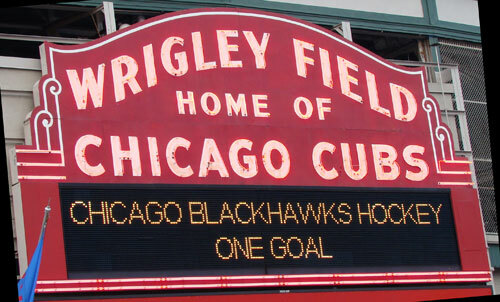 With the Chicago Blackhawks playing playoff hockey, and with John McDonough as their president and Jay Blunk as their marketing guru, it occurs to me these two Chicago institutions have an awful lot in common. Each team is among the oldest in their respective sport. Each team has legions of devoted fans. Each team has seen more than their share of down years. And for each team, 2009 might very well be The Year. This is The Year? ?? ?? 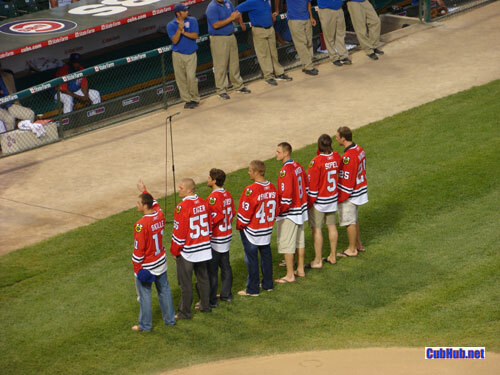 So, if these two franchises are tied together in some mystical way, I would be remiss in not saying GO BLACKHAWKS!!! 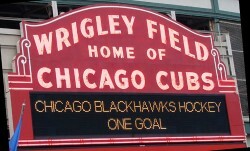 I have only been to one Hawks game in my life – in the final year of the Chicago Stadium. Among the loudest crowd noise levels I’ve ever experienced was actually during the singing of the National Anthem. Wayne Messmer in fact was still singing for the Hawks then but no one could have know after the first couple words because the crowd was overwhelming. If you haven’t been, make sure to go to a Hawks game at least once in your life. StubHub still has tickets available for the playoffs too!! !